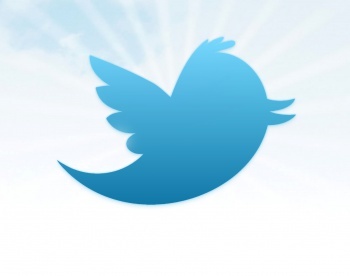 Twitter users will not be able to opt out of Twitter's Promoted Tweets program. Big Twitter is watching you. It sees your Tweets, diligently sorts through them for helpful marketing data, and passes that data on to advertisers; all part of its Promoted Tweets campaign, in which those with products to sell get to send Tweets to customers they think are most likely to buy. So far the list of topics Twitter is keeping an eye on is relatively small - about 350 individual topics - but you can expect that to grow, once the Promoted Tweets program gets out of Beta. "By targeting people's topical interests," said Kevin Weil, Twitter's Director of Product Management, "you [the marketer] will be able to connect with a greater number of users and deliver tailored messages to people who are more likely to engage with your Tweets." He went on to say that Twitter has "always taken a thoughtful approach to monetization, and early results show interest targeting creates a better experience for marketers and users." The full text can be found here. It's precisely this that inspired Dalton Caldwell to create a pay-to-Tweet service. Third party developers have also claimed that changes in Twitter's Rules of the Road were put in place to force them off the network, leaving the way clear for Twitter's Promoted Tweets. Can you opt out of the Promoted Tweets system? Not according to Twitter's FAQ; users can dismiss individual Promoted Tweets once they arrive, but "they will not be able to opt out of seeing ads in the timeline." After all, having gone to all the trouble of collecting all that user information and passing it on to marketers, the last thing Twitter wants is for you to opt out of its advertising program. Twitter does say that, once you see a Promoted Tweet, you "will never see that Promoted Tweet again," but that doesn't mean a different Promoted Tweet on the same topic from the same marketer won't show up in your feed. The Promoted Tweet has to appear in your feed before you can dismiss it, so the Promoted Tweet will already have achieved its objective even if you'd rather not have seen it in the first place. Twitter has created an advertiser's dream; promotions that can't be avoided, and which are targeted directly at those apparently most interested in their product.